More than thirty people attended the first “All-Hands” meeting of the EISCAT_3D Preparatory Phase, which was held at the Swedish Institute of Space Physics (IRF) in Kiruna, from 11th to 13th October 2011. The EISCAT Headquarters are located at IRF. Presentations were given on all aspects of the project, from science planning to software development, while around a third of the meeting was devoted to open discussions about the first year’s activities and plans for future work. Splinter meetings on the second afternoon focused especially on the development of the Performance Specification and on the progress of the site selection task. The programme and presentations from the meeting can be found on-line. Photo: EISCAT Scientific Association. Text: Ian McCrea, RAL, U.K. The EISCAT_3D Preparatory Phase project has been running for just over a year now, having officially begun on 1st October 2010. It is planned to have annual "All-Hands Meetings," during which all participants of the project come together to discuss progress, exchange ideas, and plan the future. The first of these meetings will take place at the EISCAT Headquarters in Kiruna, Sweden, from 11th to 13th October 2011. The agenda of the meeting, which is pretty much a living document and will be updated according to needs arising before and during the meeting, has been made public today. As always, make your voice heard by contacting anyone involved in the project or any EISCAT staff. Now it's the time to get involved yourself. Welcome aboard! 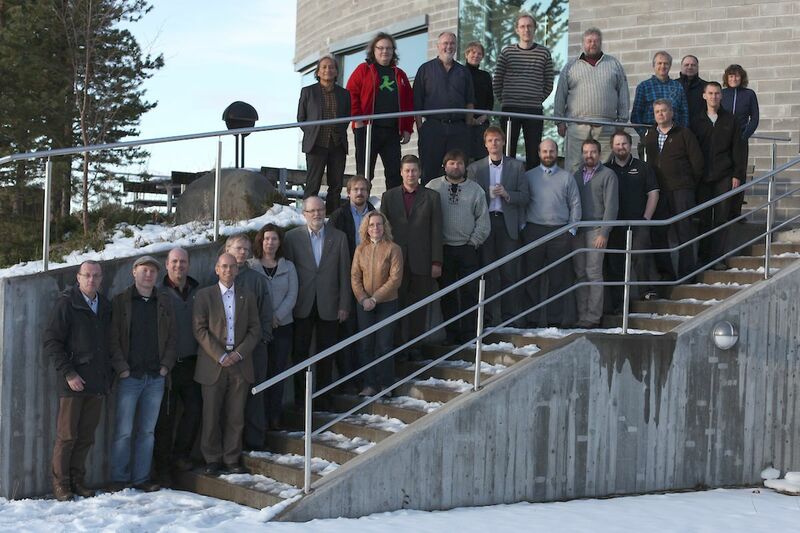 Photo of the Kiruna Space Campus: Swedish Institute of Space Physics (IRF). During the summer, we first found that the EISCAT site in Tromsø can be seen on Google's StreetView (see blog post). Later we found also the Sodankylä site on StreetView, and the Sodankylä UHF antenna can even be seen from two different locations along the road (see blog post). 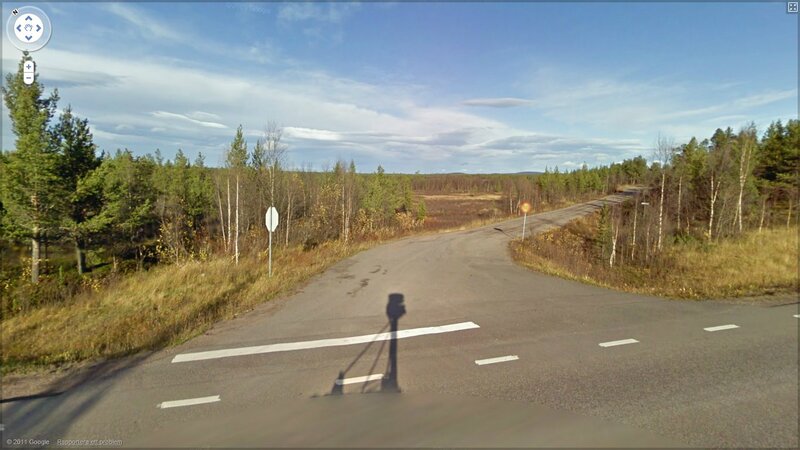 In the post about the Sodankylä site we guessed that the Kiruna site will probably not be visible, because it is very far from the main road. However, recently EISCAT_3D Project Assistant Anders Tjulin found that the Kiruna site can indeed be seen on StreetView. The photo above is a screenshot to prove it. But you have to look very carefully in the centre of the photo just above the trees at the horizon. Click on the image for full resolution. With this image we wish you all a very good weekend. The EISCAT Scientific Association is seeking a Project Engineer for the ongoing EISCAT_3D phased array radar project. The project is currently in its Preparatory Phase, which involves the legal, governance, strategic, financial and technical work that is needed before the construction of the new radar system can commence. The major role of the Project Engineer will be to facilitate the smooth progress of the technical work through coordination within the Preparatory Phase project consortium and EISCAT associates, with industry and with other partners. The primary responsibilities of the Project Engineer will be to coordinate and monitor the technical work packages of the project, to oversee the evolving technical specification of the new facility and to prepare for its transition into the construction phase, which includes negotiations with industrial partners regarding the mass production of the components needed for large antenna arrays. The Project Engineer needs to ensure that the schedule, cost and performance targets of the technical aspects of the Preparatory Phase project are met. Candidates should have proven expertise and experience in radar systems or other large research infrastructures, as well as good organisational and communication skills and be willing and able to get acquainted with all the different technical aspects of the project. Deadline for submission of applications is Monday, 7th November 2011. Please find the full announcement of the vacancy here.